20 Something Bloggers gave members the chance to review a book, so I said yes for two reasons. 1) I needed something to read other than geography related books and 2) I saw the words “New York”. 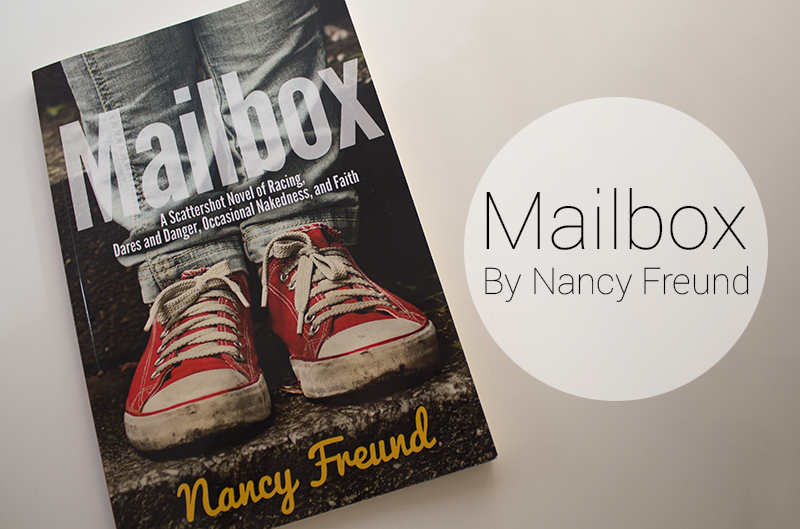 The author, Nancy Freund, kindly sent me a free advance reader copy for me to read and review it. As always, my opinions are my own. The book is set in 1976 in the US, and centres on a 10 year old named Sandy and follows her life up until she turns 13. The book is actually a composition of short stories and memories that she has wrote down on her father’s typewriter as an aspiring writer. At first, I guess I found it a little challenging to read something supposedly wrote by a 10 year old, especially given that the type of books I usually read about homicide detectives. However, once I had read a few chapters/stories I really felt like I had connected. I felt like a 10 year old myself and I felt like I could relate to Sandy in so many ways. I think one of the words I used to describe the book when describing it to others was “innocent”. When you are 10 you don’t understand many of the things going on in the world, but it’s an age when you are most inquisitive and start putting the pieces together like a jigsaw. It is interesting to see a character’s thoughts and feelings towards growing up, as the three years between 10 and 13 provide massive changes for us all. So, be warned, there is discussion of periods and the like, but through the eyes of a child/teenager, this is rather amusing and light-hearted. The book also touches on some American history that, as a Brit, didn’t really know about, such as the Watergate scandal. But again, it’s fun to see a child’s opinions on politics. I’m on about the same same level as Sandy even though I’m 21! There are a few darker moments, such as when Sandy talks about being punished by her friend’s father for playing pranks on the neighbours, and when her friend’s weird “uncle” (who isn’t actually her uncle, but a family friend instead) decides to take photos of the girls while running under a sprinkler naked. It’s one of those things that, as an adult, seems strange and wrong, but as I child it’s just confusing and slightly out of the ordinary. As I say, these are issues that I would consider to be “dark” yet to a 10 year old they are just confusing. Again, it’s the innocences in this book that I enjoyed so much. I also enjoyed the relationship between Sandy and her mother that is portrayed throughout the book. It reminded me a lot of my relationship with my mum. Overall, I enjoyed reading a book that was completely different to my usual reading taste. It made a pleasant change to read something so light-hearted compared to my typical murder mystery book love. This is definitely the type of book that would appeal more to females in their late teens/early twenties who are moving on from their childhood years but still want to remember that carefree lifestyle we all use to have. I was kindly sent this book for free for review by the author via 20 Something Bloggers. I was also provided with payment in the form of vouchers for this review. However, as always, opinions are my own and are honest. You can read my whole disclaimer here. It sounds like an interesting book! I like the sound of the format, and it wouldn’t hurt to learn a bit of American history from it either. Reading something from a ten-year old’s perspective must be difficult at first, but it mustn’t take long before you can empathise with Sandy. The darker elements you mentioned sound a bit uncomfortable, but overall it seems a good read!